There’s a new love in my life. 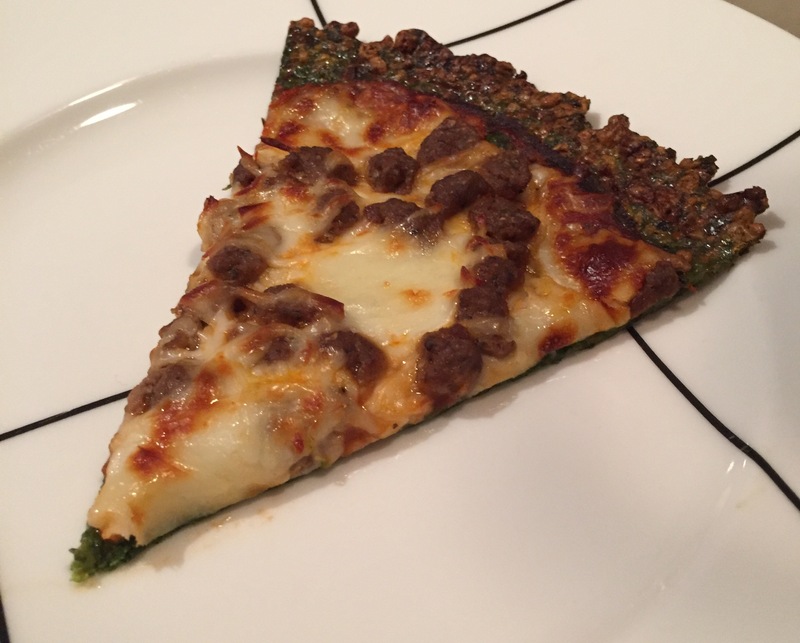 Spinach pizza has replaced zucchini pizza as the best faux junk food in the kitchen. It holds up better, has much less water – lending itself to actually being picked up by hand, and really is just tastier. Oh. And there’s NO FLOUR. 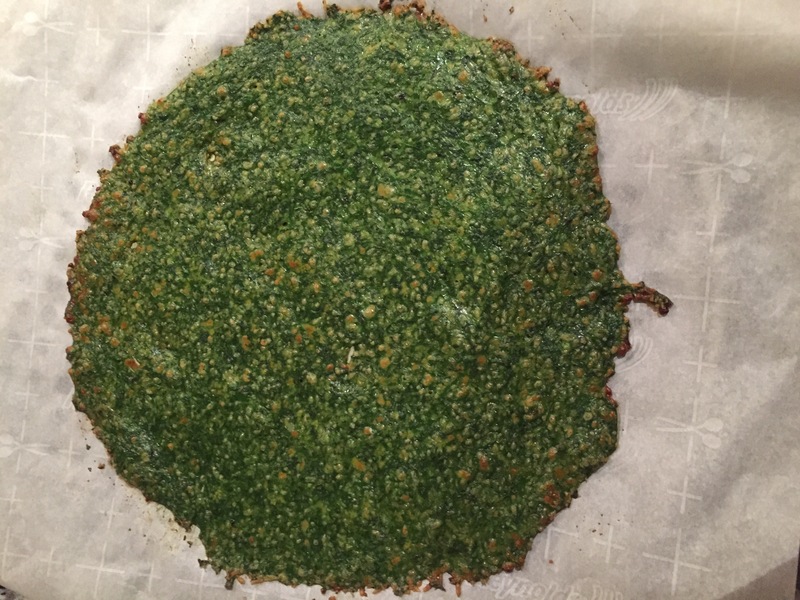 Zucchini pizza takes a little bit. And no squeezing of shredded zucchini. All the satisfaction and no work. Really, this is the Friday night relationship you’ve been looking for. Get on this recipe today. 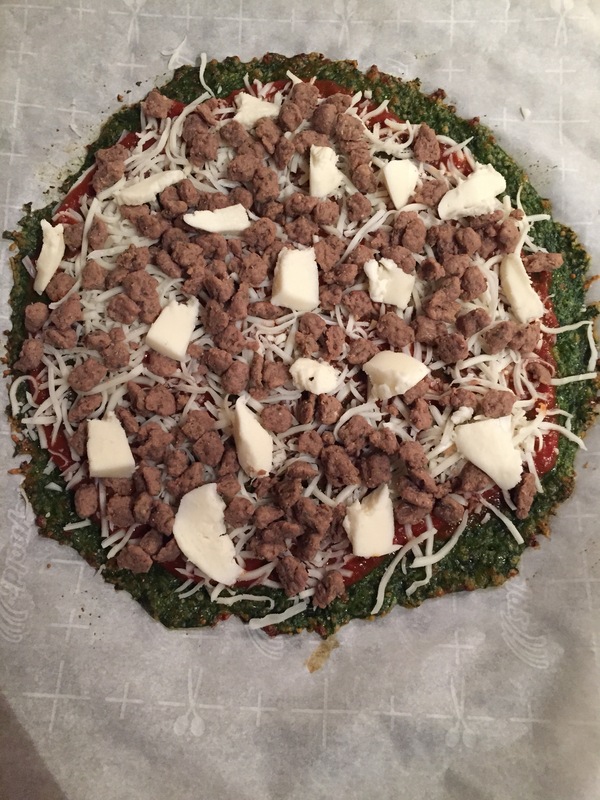 Topped with pizza sauce, turkey sausage crumbles and two kinds of mozz, because this IS junk food after all. **These crusts are fairly small, so I would say one crust serves 2 people. Throw everything into a food processor. Process. Spread mixture with a spatula into a circle on the lined pan. Bake about 15 minutes, until edges begin to brown. 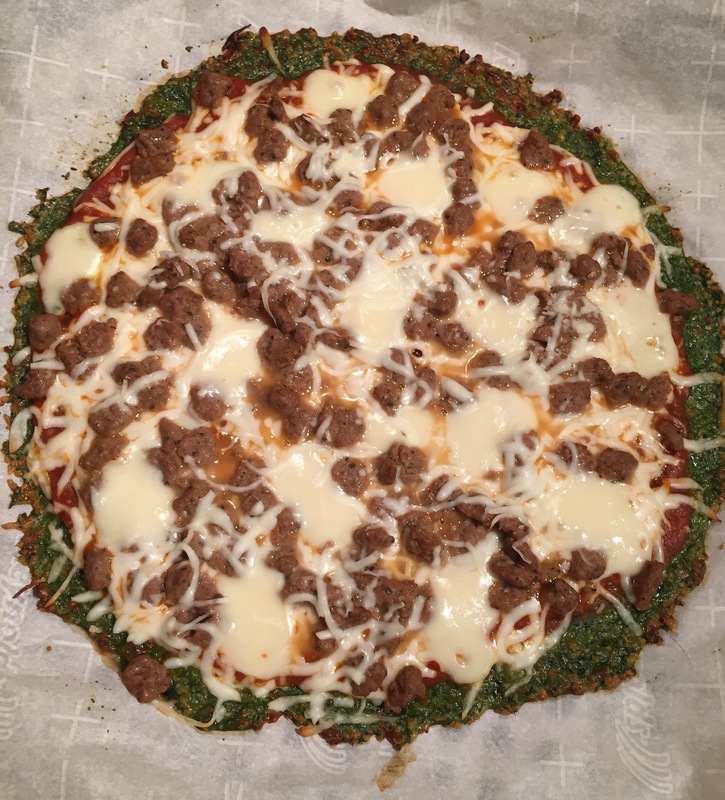 Top with desired toppings and bake another 8 minutes.